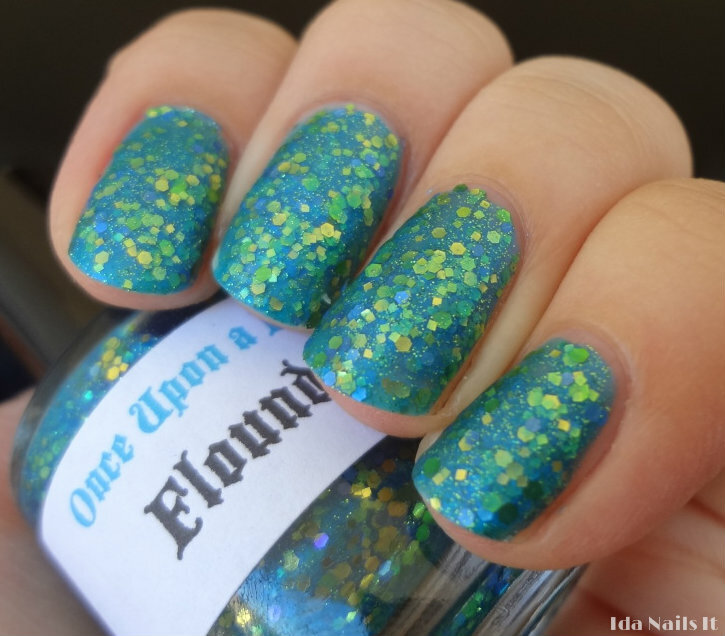 Here is part two of my Once Upon a Polish polishes. Dragon Spit is my favorite of all the ones I purchased. Per Once Upon a Polish's Facebook page, she will have polish in stock until mid-Dec and then will close her shop, either temporarily or permanently. Dragon Spit is not in stock at the moment but if she does restock it, I would definitely recommend purchasing that one. Once Upon a Polish nail polishes can be purchased in her Etsy store. 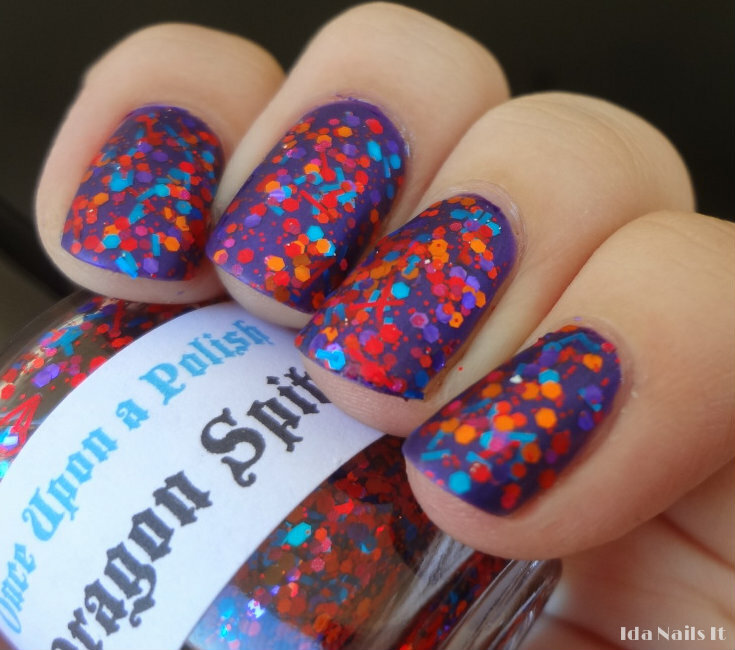 Wow Dragon Spit looks awesome mattified! I have to try that with my bottle. You should! Glitter bombs always look especially nice mattified.